Posto No. 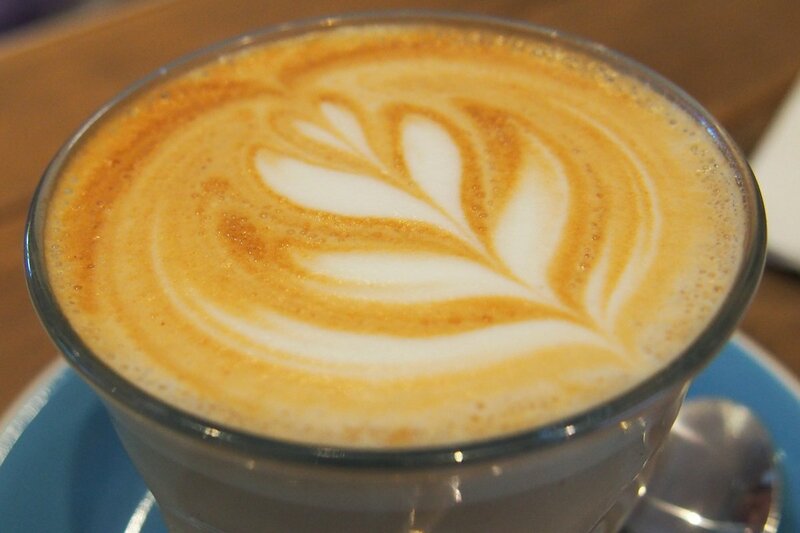 19 has a prominent yet reasonably quiet location with the all-important barista taking prime position at the street-facing counter. Inside you’ll find a split level layout with a decent number of tables to ensure that you most likely won’t be waiting for a table. The service was a mixed bag for me ranging from being asked if we were ready about four or five times literally every two minutes to not finding anyone at all towards the latter part of the meal. Anyway, the staff were pleasant enough, I’ve just become very critical having experienced such a variety of service styles. It’s a reasonable loud and busy interior. There’s no music to speak of but with concrete floors, a large number of tables and the clanging of crockery behind the service bar, it does get quite loud. 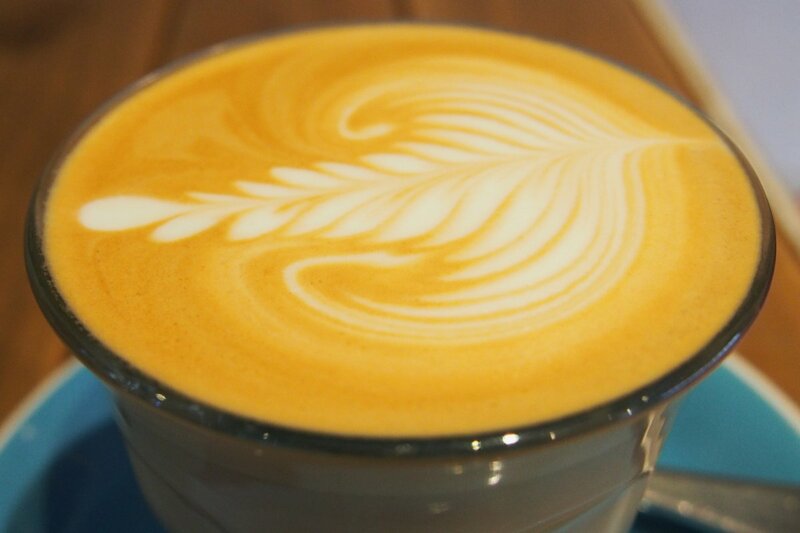 Coffees ($3.60) were reasonable but lacking that punch of flavour I was craving after a late night! Teas are $4.50 and fresh juice is available as orange, orange & banana or orange, lemon, mint and pineapple ($6.50). 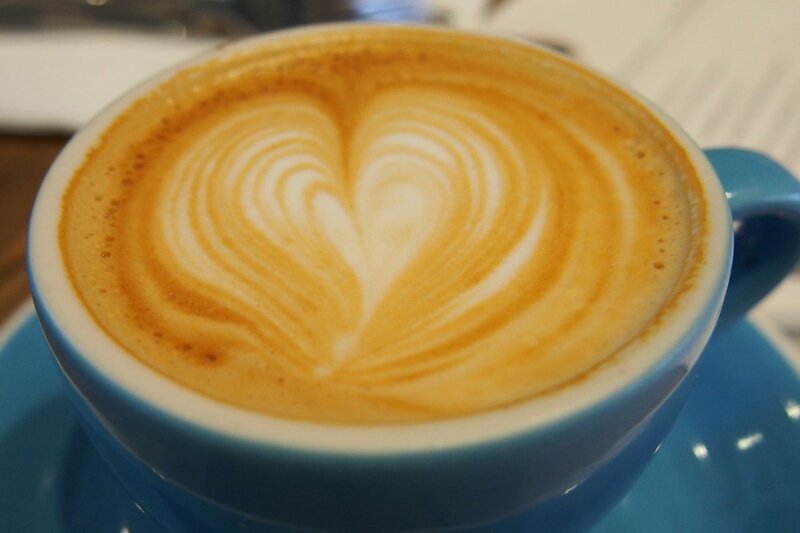 The menu is seasonal and breakfast is served until 12pm on weekdays, all day on weekends. 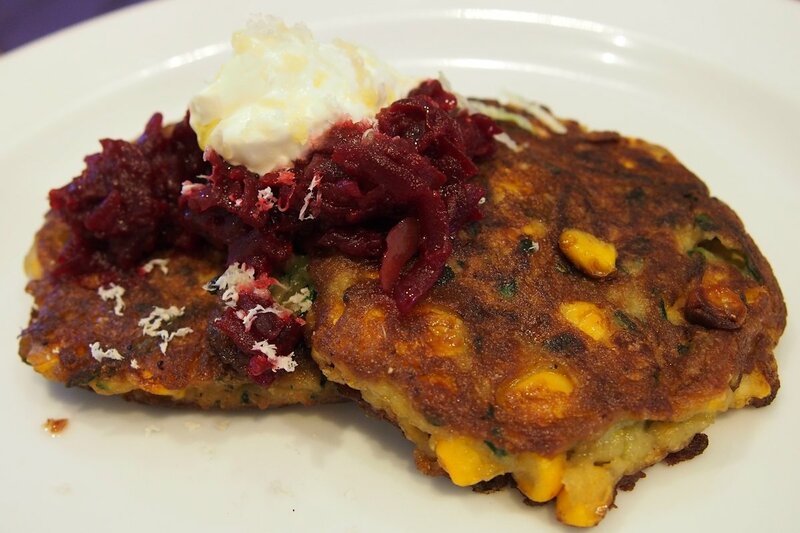 The corn & zucchini fritters ($18.50) are actually quite your standard fare. They were seasoned reasonably and lightly fried but didn’t blow me or my guests away. So then it’s up to the toppings to bring the flavour… the sides are beetroot relish, creme fraiche and horseradish. It’s quite an unusual combination and apparently there should have been baby spinach as well (which wasn’t mentioned on the menu). The waiter apologised for this and offered lettuce instead. Supposedly the crispness would bring out some hidden elements of the dish… it didn’t. Overall it was a fine dish but there was nothing that would encourage me to return (either in execution or choice of elements). 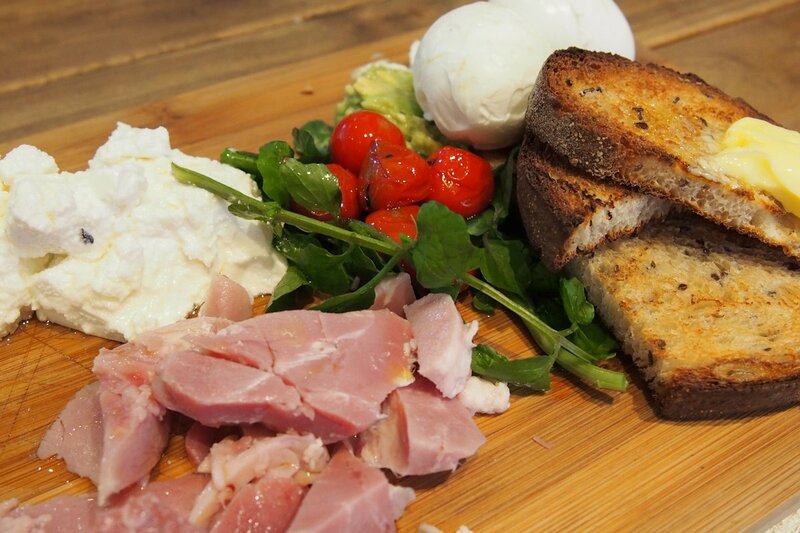 The Posto board ($19.50) offers feta, leg ham, baby spinach, soft boiled eggs, avocado and cherry tomatoes. This spread will most likely fill you although for the price I should hope so! It all combined well and I was very grateful for the tomato and spinach as it broke up the richness of the feta. The avocado was fresh and smashed while the eggs retained the slightly runny yolk that I love. Other items available include granola (nuts, poached pear, berry compote and honeyed yoghurt, $14), house cured salmon, poached eggs, blini, salmon roe and watercress ($19.50), buttermilk waffles with ricotta & blueberry or banana, peanut butter and flake ($16.50). So there are some other delicious sounding recipes. I just hope that they’re made well. If you’ve paid Posto No. 19 a visit, I’d love to hear your experiences. 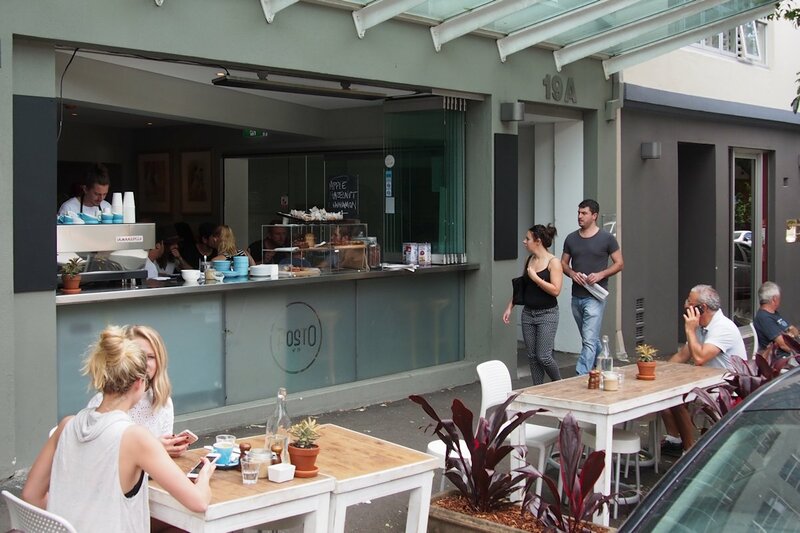 This entry was posted in Sydney - Eastern Suburbs and tagged Disabled access, Dog friendly, Gluten free options, Outdoor seating, Parking close by. Bookmark the permalink.